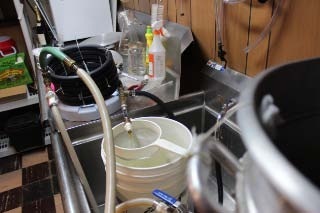 SCB runs on two brewing systems. 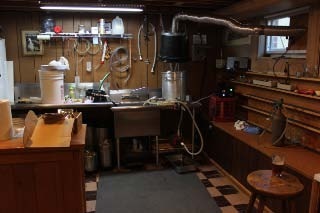 The indoor unit runs on a 5 gallon electrical system that is vented to the outside. 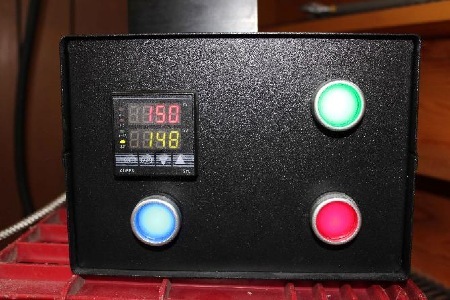 A homemade electronic regulator for the pump, heating element and wort temp. 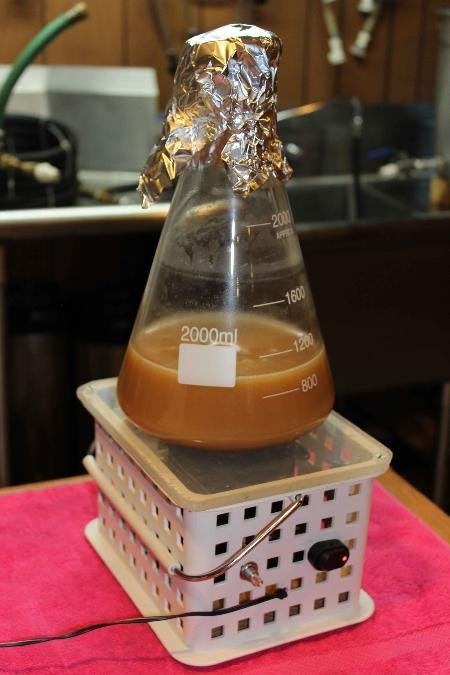 A counter-flow chiller can quickly drop the temperature of boiling wort to yeast-pitching tolerances. A fancy new mash recirculator. 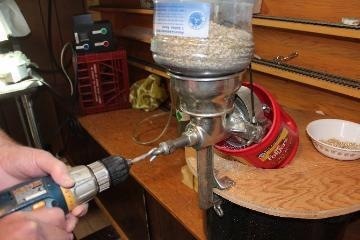 And a grain grinder, using lithium drill batteries as a power source.